The PC version of Minecraft might have an edge over its console cousins thanks to mods and the cadence of updates, but the Ender Dragon, Minecraft’s flying dragon boss beastie, is a wee bit more evolved on consoles. With 1.9, though, the disparity between these deadly monsters will end. 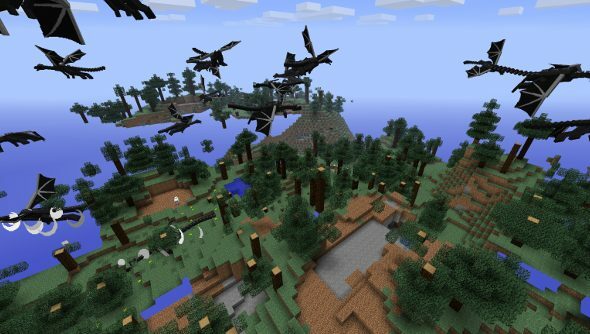 Mojang developer Nathan Adams confirmed that he’s redoing the Ender Dragon boss battle for 1.9, bringing it closer to the console version, mechanically. He ominously notes that he’ll be taking it one step further, as well, but he’s keeping what that involves a secret for the time being. If you’ve already put an end to the Ender Dragon in your world (well done) then don’t fret, Adams says that you’ll be able to fight the new version of the Ender Dragon without resetting your precious world. Adams also teased that better things would be coming with the 1.9 update, but more reveals are being saved for later.